Google has so many programs that can benefit nonprofits and small businesses, but sadly enough many nonprofits are not utilizing these valuable programs. Most nonprofits need help in analyzing data, finding a financial cushion and often struggle finding new donors. Well here’s a perfect read to satisfy your business needs! Google has created innovative technology to help businesses reach their goals. Programs like Google Wallet, Google Analytics and Google AdWords are great, and often FREE, ways for nonprofits to take their organization to the next level. Another great tool your organization can benefit from is Google Analytics. This program does most of the work for you, tracking customer behavior as well as aspects of your website. Get a clear picture of your website’s effectiveness, charts and reports can easily be shared with the rest of your team. Just having a website isn’t enough anymore. Making your website more efficient to increase viewership, and potential customers and donors will benefit your nonprofits in the long run. Read how other businesses improve their website performance. With Google Ad Grants, nonprofits are offered the opportunity to receive a $10,000.00 per month credit from Google, Inc. to create your own search engine marketing campaigns via Google AdWords. By using a Google Ad Grant, you improve the likelihood that someone finds your organization online in relation to target keywords your organization wants to rank for in search engine results. To take full advantage of Google Ad Grant, you must have a 501(c) (3) status and complete an application. With a Google Ad Grant, users easily find your ads when they search using related words or phrases. Google Ad Grants can ‘help speak’ to an audience that’s already interested in what you have to say. 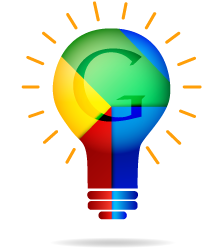 To learn how YOakleyPR could help your 501(c)(3) nonprofit apply for a Google Ad Grant, click here. What is Google Wallet, you might ask yourself? And, how can it benefit your organization? Google Wallet is software that makes it fast and convenient for customers to donate to your organization. The program only needs customer’s single login and has enhanced security for personal data. Although, Google Wallet is taking the second slot behind PayPal, it is growing faster in popularity. If you are a nonprofit, you can sign up for a Google Merchant account, which will make it easier for donors to donate to your organization in just a few seconds. Donors will not have to complete a long application form and input their credit card number, but just a click on your Donation button. When it’s easy and safe for users to donate online, you’re already ahead of the game! Why else should you use Google’s business programs for your nonprofit – Because it makes your job effortless and more efficient for optimum success? Global Giving, an organization dedicated to providing resources to nonprofits took advantage of one of Google’s business programs, Google Ad grants to improve marketing goals. Today their website traffic is up over 400% and they are still testing new strategies to utilize their increased budget. Would you like more out of your nonprofit organization? If so, sign up for Google programs today and see better results. Hi, my name is Saphire Miles. I am a junior at Iowa State University with a major in marketing and minor in public relations. I am from Davenport, IA and I love to travel ! My hobbies are singing, acting and learning different languages.